School athletics and league budgets are limited, especially in today's challenging economic climate, so finding uniforms your team can enjoy for years is vital. Fortunately, team uniform care is easy and helps keep apparel fresh longer. If you consider the advantages of antimicrobial fabrics, you could save money and provide your team with comfortable, durable uniforms. Antimicrobial fabrics are great for team sports apparel because these materials provide long-lasting protection by destroying bacteria or fungi immediately. These fabrics help team gear stay fresh in between launderings, and regardless of how frequently athletes or coaches sweat, pungent odors are eliminated instantly. With antimicrobial fabrics, your team can enjoy the benefits of clothing that prevents athlete's foot, skin irritation and rashes, and you can cut back on laundering as well. How else can you make team apparel last longer? Fabric – Durable materials like polyester will withstand more wear and tear from competition and garment color will not fade from sun or laundering. Stitching – Seams that are reinforced with cover or top stitching will provide additional strength and durability. 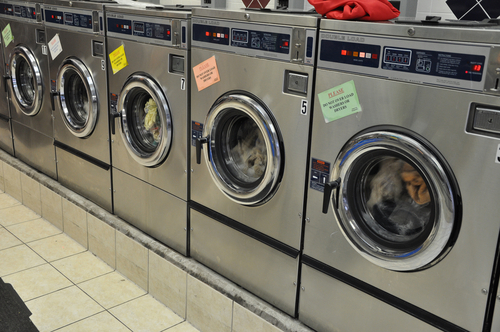 Washable – Technical fabrics will keep form and color better than cotton fabrics when laundered properly. Durable apparel is great for games and practices and maintains its quality longer. When the season's over, durable team uniforms will look the same as they did on day one. Use cold water only – Heat is death for technical fabrics. Keep technical fabrics separate from other fabrics – This is a good practice to ensure your technical apparel doesn’t get mixed in with other apparel and inadvertently destroyed. Use low heat when drying – Most technical fabrics dry very quickly, even at room temperature, so damaging high heat is not necessary. Team dealers are uniform care experts and can help you choose the best durable and washable gear. These specialists will also show you how to develop a team uniform care strategy so your apparel stays fresh for years. Our free guide for coaches, athletic directors, and equipment managers, and parent volunteers features many of the performance and quality issues buyers encounter when searching for team gear, apparel, or uniforms. Download it by clicking on the image below.